If you’re looking for a family friendly leisure club in Didsbury, we have something for everyone. We offer swimming lessons for all ages and abilities. And a range of classes and activities for the whole family. So whether you have a newborn for Water Babies classes or a teenager who loves Taekwondo, we have a dedicated children’s timetable. Plus, we have a large, free car park and family changing rooms. So we really are a leisure club that is built around the family. If you’re looking for swimming lessons for kids in Manchester, then Waterside Didsbury has everything you need. 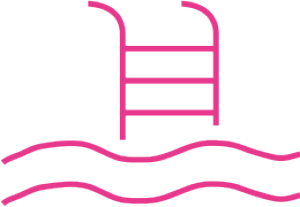 From water confidence through to stroke improvement, our lesson provider Total Swimming (0161 764 2224) has swimming at every level. And if you’re looking for baby swimming lessons that are endorsed by the ASA, with some of the best baby swimming instructors in the World – you have to try our Water Babies sessions (0161 928 6385). Junior Taekwondo can enhance self-esteem, build confidence, develop discipline and teach self defense. Plus, of course it’s a fun, way to develop your child’s athletic abilities. Our Taekwondo classes are taken by junior experts – the perfect way to strengthen young mind and body. Boxercise has developed and adapted age-old training principles of boxing. Our Junior Boxercise classes are a fun, addictive, safe, stress busting workout suitable for children aged 8 and above. It’s perfectly safe – and they will love it. In fact bring them once and we guarantee they’ll be hooked! Do you have a budding gym bunny who can’t wait to get started? Then bring them along to our junior bootcamp. This fun, friendly fitness class combines cardiovascular and bodyweight exercises in a studio environment and is a great way to build fitness for children ages 8 and over.